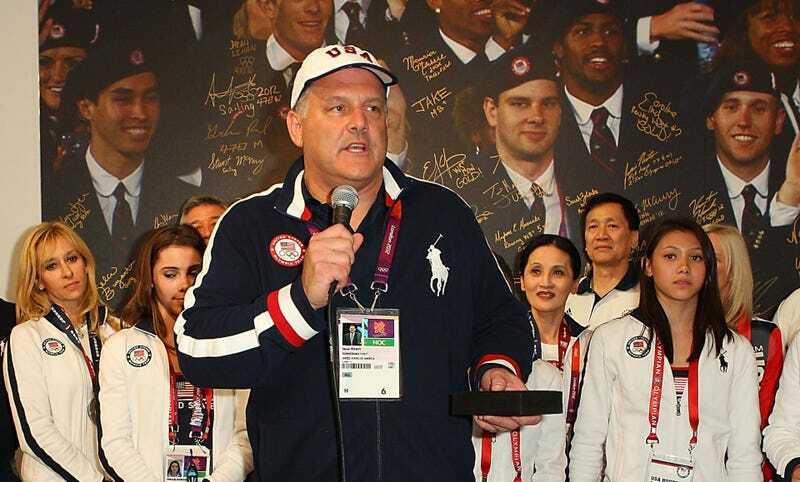 USA Gymnastics CEO and president Steve Penny resigned today, following weeks of people demanding he leave as the details of how USA Gymnastics protected coaches and trainers accused of sexual abuse continue coming out. A trove of documents unsealed by a Georgia court last week revealed even more details about how little USAG did when presented with allegations of sexual abuse—and how Penny downplayed investigations because he wanted to avoid a “witch hunt.” The U.S. Olympic Committee called for Penny to step down after the documents were released, and today Penny claimed that he did so to best serve the interests of USAG. It has been heartbreaking to learn of instances of abuse, and it sickens me that young athletes would be exploited in such a manner. My decision to step aside as CEO is solely to support the best interests of USA Gymnastics at this time. Recent reporting, lead by the Indianapolis Star, has shown how, under Penny, USA Gymnastics didn’t take reports of sexual abuse involving coaches and trainers seriously—at times not even telling local police—allowing abusive coaches to stay at work. One of the more horrifying cases to emerge has been of Dr. Larry Nassar, a former trainer with the national team. Nassar has been accused by more than 80 people of sexual assault and is currently facing criminal charges as well as being sued in federal court by his several victims. Penny is a co-defendant in a few of those suits. Under his watch, USAG conducted an internal investigation of the allegations against Nassar that took five weeks before notifying law enforcement.